Fri., 25 Oct. - Tue., 5 Nov. Mon., 30 Sep. - Sat., 5 Oct.
Fri., 25 Oct. - Sat., 2 Nov.
Wed., 30 Oct. - Tue., 5 Nov. Sun., 30 Jun. - Sun., 28 Jul. Fri., 4 Oct. - Sat., 5 Oct.
Wed., 30 Oct. - Mon., 4 Nov. Thu., 31 Oct. - Sat., 2 Nov. Sun., 27 Oct. - Wed., 6 Nov.
See all 791 properties in San Antonio Intl. 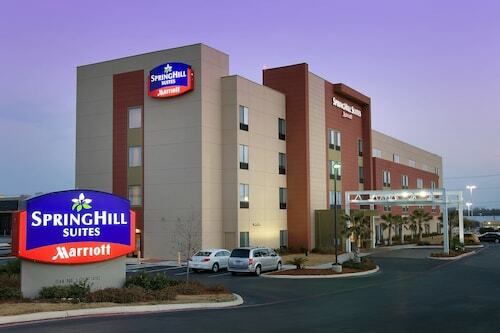 Located in North San Antonio - SAT, this hotel is within 3 mi (5 km) of North Star Mall, Quarry Golf Club, and Alamo Quarry Market. San Antonio Zoo and Aquarium and Witte Museum are also within 6 mi (10 km). Located in North San Antonio - SAT, this hotel is within 3 mi (5 km) of North Star Mall, Quarry Golf Club, and Alamo Quarry Market. Marion Koogler McNay Art Museum is 3 mi (4.8 km) away. Located in North San Antonio - SAT, this aparthotel is within 2 mi (3 km) of North Star Mall, Quarry Golf Club, and Alamo Quarry Market. San Antonio Zoo and Aquarium and Witte Museum are also within 6 mi (10 km). DoubleTree by Hilton San Antonio Airport offers a free 24-hour shuttle service to San Antonio Airport, only 5 minutes away. The city's famous River Walk, the Alamo, and downtown are a 15-minute drive away. For retail therapy, shopping at North Star Mall is a 4-minute walk. Question : What is the cheapest airline flying from Ottawa to San Antonio? Answer : Air Canada strives to keep prices low for passengers over the next three months. Bookings are being made at just $352 and, when compared to the more expensive bookings of $544, it's a terrific deal. Question : How much time do people spend in San Antonio? Answer : The average time spent sightseeing in San Antonio by travellers from Ottawa is about one week. Answer : You sure can switch your departure or arrival date and you may save yourself some money by changing when you take off. The cheapest day to fly in April is Saturday. Answer : The cheapest day to fly from Ottawa to San Antonio is on Saturday. If you would like to save some money on your next business trip look for flights on that day. Question : What is the cheapest date to fly to San Antonio? Answer : Apr 25th has bookings (as of Apr 15th) as cheap as $352. That comes in 20% below the average price. Saving on flight fares means you'll have more money to spend on your trip. Question : How much is a plane ticket to San Antonio (SAT) from Ottawa (YOW)? Answer : Cost can range from $352 to $544, prices for YOW to SAT fluctuate much less than most routes from Canada. Remember, you can save by booking further in advance.